A substation can take many forms – buildings, open compounds, underground chambers. We’ll explore these further when we post more pages at a later date. Meanwhile here’s a selection from Cornwall. 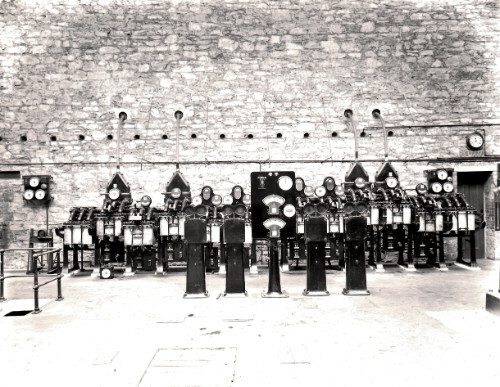 SWEHS 7.0.024.jpg – Date 1910 – Hayle Power Station switchgear and control panels. Cornwall, Hayle . SWEHS 7.1.001.jpg – Date c Mid 1930s – Hayle Bulk Supply Point with power station in background. Cornwall, Hayle Exact date of photograph not known as one copy refers to 1934 and the other to ‘soon after 1936’..
SWEHS 7.1.003.jpg – Date 1934 – Hayle Power Station aerial photograph. North river bank. 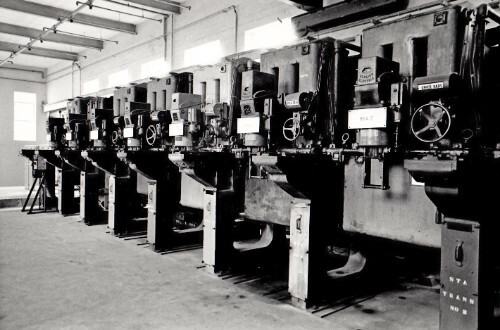 10kV and 3kV alternating current 8.8MW (1922), 94MW (1964). 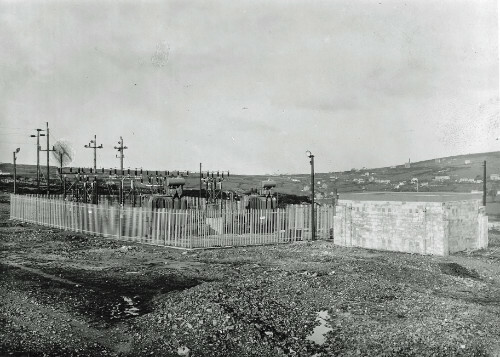 Commenced supply 1911 – Cornwall Electric Power Company. 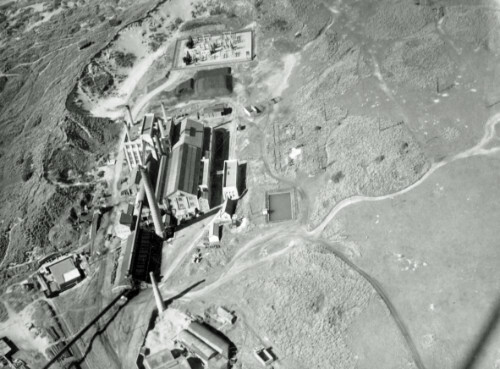 Decommissioned 1976 and site cleared. Cornwall, Hayle . SWEHS 7.1.174.jpg – Date c1965 – Hayle power station. 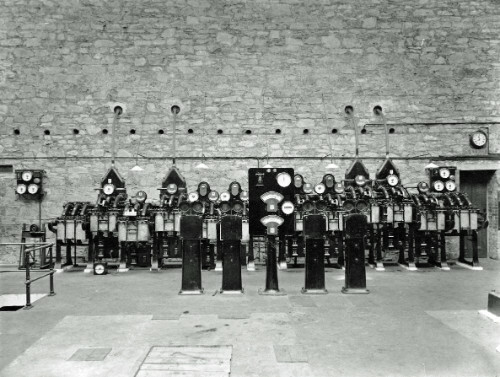 Switchboard comprising: English Electric OLF (date unknown). Cornwall, Hayle The photograph was dated 1948 on reverse but Danger Notice is marked CEGB which came into existance in 1958..
SWEHS 7.1.179.jpg – Date 1911 – Hayle power station. Reyrolle 10kV switchboard with split busbars. Two cables to Carn Brea and two to Nancledra, Penzance and Geevor? Cornwall, Hayle . 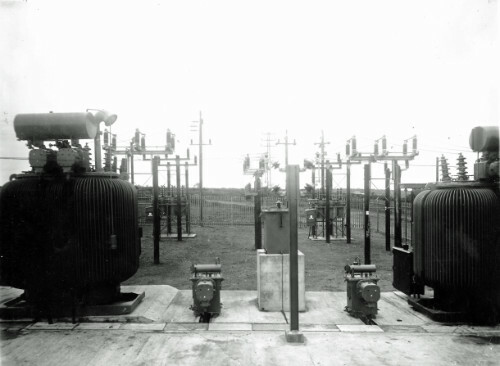 SWEHS 7.1.106.jpg – Date 1938 – Lanner 33/11kV substation. Cornwall, Lanner . 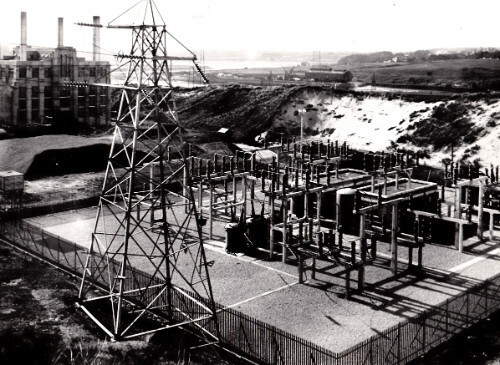 SWEHS 7.1.117.jpg – Date 1938 – Lanner 33/11kV substation Cornwall, Lanner . 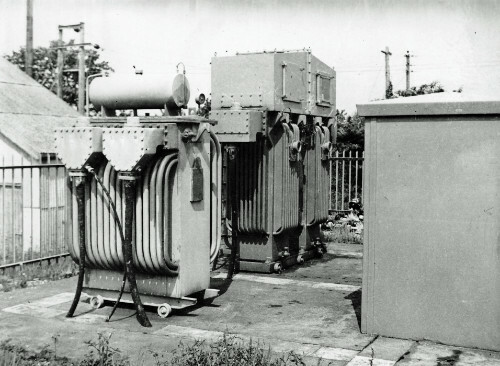 SWEHS 7.1.057.jpg – Date 1946 – Tolgus booster, English Electric Co., 1750kVA. Survived until Redruth 33/11kV network took over in 1950’s. Note cable with LV supply and CT wiring. Cornwall, Redruth, Tolgus . 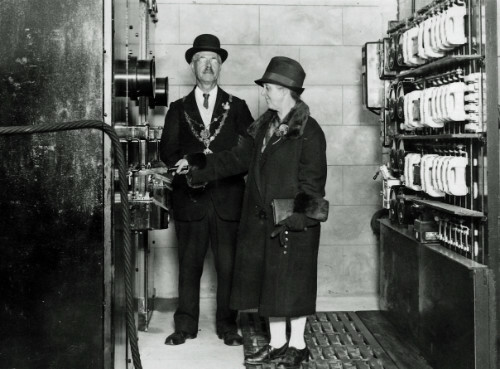 SWEHS 7.1.190.jpg – Date 19/10/1927 – Lemon Quay 11kV substation, ‘Truro switch-on’ 5.45pm 19th October 1927 by Truro mayor and his wife. Cornwall, Truro .